the Green New Deal – Len Bilén's blog, a blog about faith, politics and the environment. A clouded future for the Earth? Fear not, that is what is stabilizing the temperature. Sherlock Holmes: “It is a capital mistake to theorize before one has data. Insensibly one begins to twist facts to suit theories instead of theories to suit facts”. From: “Scandal in Bohemia” by A. Conan Doyle. 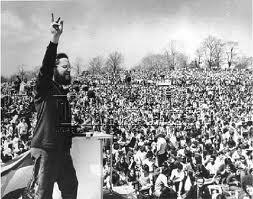 The first Earth Day in Philadelphia 1970, April 22 (the 100 year anniversary of Lenin’s Birth) featured Ira Einhorn (The Unicorn Killer) as master of Ceremonies. The big environmental scare of the day was the threat of a new Ice Age. The clarion call was: “In the year 2000 temperatures will have fallen 10 degrees”, the culprit was pollution, especially acid rain. The acid rain was so bad in the Adirondacks, Canada, Norway and Sweden that the Rainbow Trout died in droves, and even the oceans were said to be in danger of getting too acid. 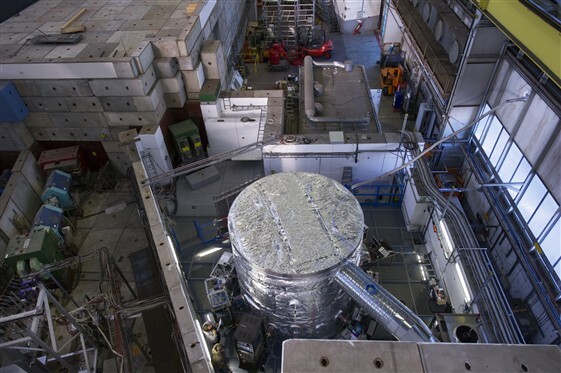 Regulations were enacted to add scrubbers to power stations, waste water was purified, and – wouldn’t y you know it, the cooling trend reversed itself and was followed by warming. Since the cooling trend was “obviously man-made” they had to find a reason for the sudden warming. Never mind that around the year 1200 there was at least one farm on South West Greenland that exported, among other things, cheese. How do we know that? 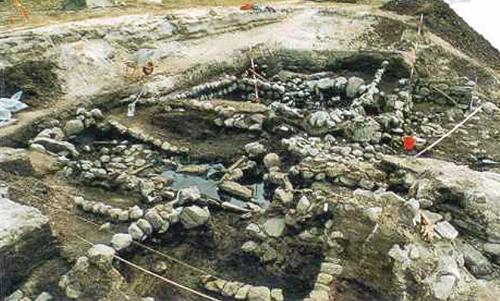 They have excavated the ruins of a farm, “Gården under Sanden”, buried under permafrost for five centuries. During these five centuries the Northern Hemisphere experienced what is called “the little ice age” a time when the winters could be so cold that in 1658 the Swedish army, cavalry and artillery crossed the Belts in the southern Baltic over ice and sacked Copenhagen. To predict future climate changes many computer models have been developed dealing with how the earth responds to changes in atmospheric conditions, especially how it responds to rising CO2 levels. Most were developed in the 1970 to 2000 time frame, a time of rapid temperature rise and as such they were all given a large factor for the influence of rising CO2. Since 2000 we have had what is called “the pause”, a time with no statistically significant temperature rise, so the models cooperated less and less and produced more and more unreliable predictions. It is no wonder then that they all have failed to model the past. None of them have reproduced the medieval warm period or the little ice age. If they cannot agree with the past there is no reason to believe they have any ability to predict the future. The models are particularly bad when it comes to predict cloud cover and also what time of day clouds appear and disappear. Below is a chart of a number of climate models and their prediction of cloud cover versus observed data. Note especially to the right where they completely fail to notice the clear skies over Antarctica. 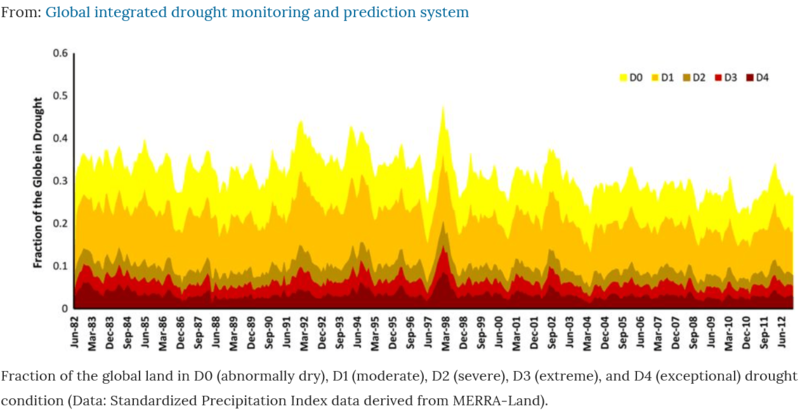 Is there a better way to predict future temperature trends? When you go to the doctor for a physical, at some point and without warning he hits you under the knee with a hammer and watches your reaction. He is observing your impulse response. Can we observe impulse responses for the earth? One obvious case is volcanic explosions. Sometimes the earth burps a lot of carbon dioxide or methane. But the most interesting response would be how the earth responds to a solar flare with a sudden change in the amount of cosmic radiation hitting the earth. That would give the best indication how the sun and cosmic radiation affects cloud formation. A couple of solar flares lately have been giving us a hint how the cloud cover responds to changes in cosmic radiation, and they are consistent with the latest results from the CLOUD project conducted using the CERN particle accelerator, a confirmation of a theory forwarded by the Danish Physicist Henrik Svensmark. He first presented the theory in 1997 and finally got the results verified and published in 2007, but the prevailing consensus has been slow to accept the theory that the sun as the primary driver of climate change. We have many reasons to be concerned about the well-being of the earth, but rising levels of CO2 is not one of them. In fact, CO2 is our friend. Rising CO2 levels increases crop yields, makes the impact of land use changes less pronounced and the photosynthesis process more efficient, using less water and allowing us to grow crops on land once deemed unprofitable. James Hansen, a world famous climate science activist/NASA physicist writes in one of his publications, called “Earth’s Energy Imbalance and Implications“. There we have it. 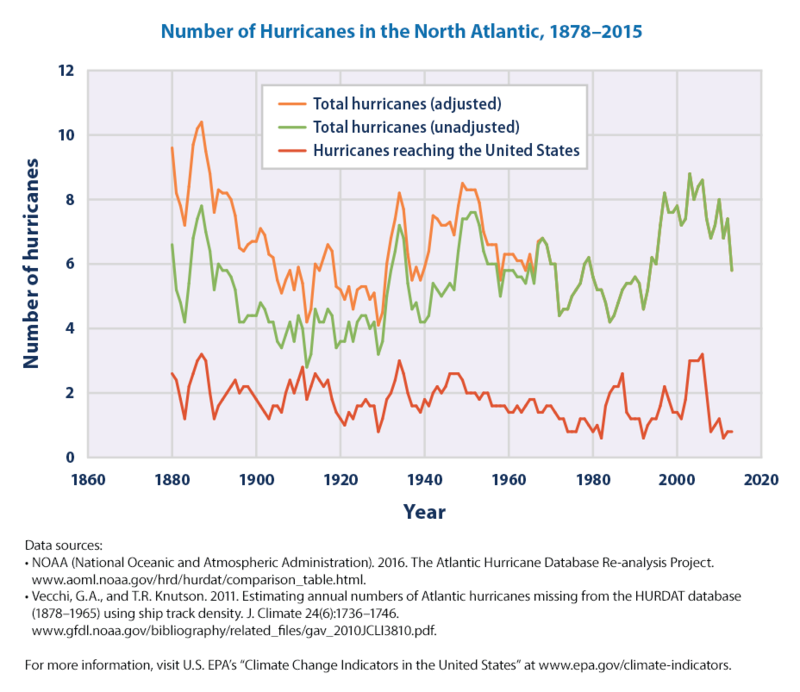 The observed data does not fit the climate models. Change the observed data! Then use that data to validate the climate models! How convEEnient, as the SNL Churchlady used to say. This is what happens when politicians take over science and make further funding contingent on obtaining desired results. 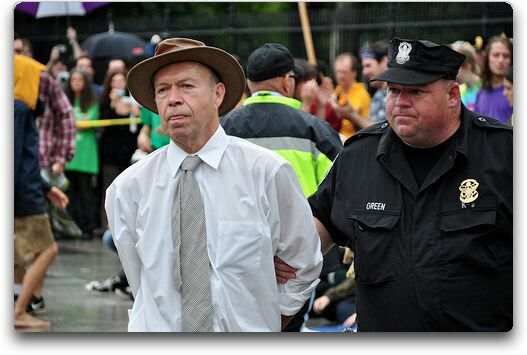 James Hansen arrested Aug 29 2011 at a Keystone XL pipeline protest outside the White House. And now, this is the official basis for enacting the Green New Deal. They have come a long way since then, but the science they claim is settled is not. It is just flawed. Look at the clouds! They provide the negative feedback that keeps the climate from overheating. 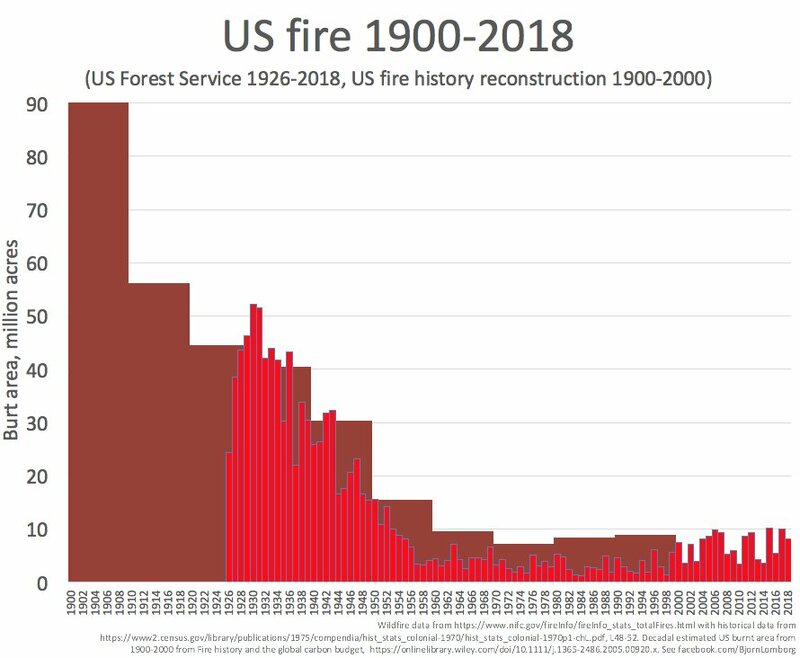 Yet I am hopeful that the scientists are catching on to the major fallacy of the models, their failure to correctly model the clouds and their changing behavior with increasing CO2. This is an excerpt from the IPCC Fifth Assessment. Posted on February 23, 2019 Categories climate, CO2, environment, pollutionTags Climate change, clouds, CO2, environment, the Green New DealLeave a comment on A clouded future for the Earth? Fear not, that is what is stabilizing the temperature.